At one time, almost everyone has suffered from a range of common skin conditions such as spots, sun damage or uneven skin tone. To assist with treatment and skin repair, Environ has developed several product ranges that targeted specific skin conditions. 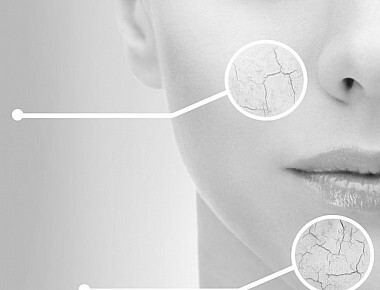 Click on a relevant skin condition now to find out how Environ can help your skin. 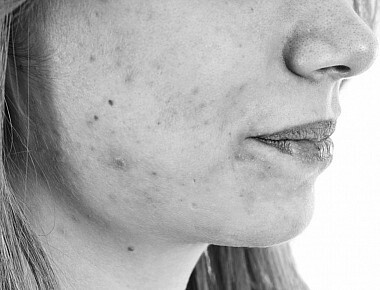 Acne is not just a teenage problem as skin type and environmental factors can also cause breakouts in adults which often results in embarrassment as well as skin discomfort. 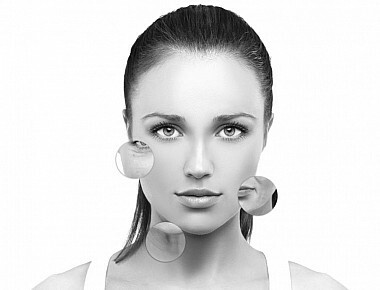 Environ has developed the Clarity+ Range specifically designed to address the needs of acne and breakout-prone skin. Each product contains Australian tea tree oil for its antiseptic properties to help control bacteria and inflammation and most contain salicylic acid for its mild exfoliating properties. Cellulite gives the skin, usually on the thighs and buttocks, a lumpy and dimpled appearance and this is thought to be caused by hormonal factors, genetics, diet or lifestyle factors. However, the look of cellulite can be diminished with the use of several Environ products. Environ’s Body Profile Gel helps to reduce the orange peel effect of cellulite either applied topically or in conjunction with the Body Roll-CIT home needling kit for increased penetration of the gel’s active ingredients. Supporting this beauty regime are AVST Vitamin A, C & E Body Cream, AVST Body Oil and A,C,E Enhanced Body Oil which helps to hydrate and condition the appearance of cellulite skin. If you are looking to improve the appearance of fine lines around your eye area, or to reduce the impact of dark circles, Vita-Peptide Eye Gel from Environ’s premium Youth EssentiA range or AVST Eye Gel from the Skin EssentiA range may be of benefit to you. Vita-Peptide Eye Gel is an effective topical alternative to Botox and contains three peptides which have been scientifically proven to be effective in reducing the appearance of wrinkles. The peptides work in synergy with the Eye Gel’s vitamin A, C, and E active ingredients. While the AVST Eye Gel is formulated for sensitive eyes, rich in antioxidant vitamins and Vitamin A as well as peptides for their added lifting and firming benefits. Skin pigmentation can be caused by several factors such as hormones, genetics and too much sun exposure which leaves the skin with unevenly coloured patches. Environ has three product ranges and a home skin needling kit that helps to diminish pigmentation. The Evenescence Range offers the C-Boost clarifying cream and Evenescence Clarifying Lotion while the premium Youth EssentiA Range offers products with higher levels of Vitamin C for enhanced results. In addition there are two retinol products – Retinol 1 and Retinol 2 which are part of an advanced step-up system which improves the overall appearance of the skin, giving it a firmer and smoother appearance while at the same time reducing the appearance of ageing. The efficacy of all products can be improved with the use of Environ’s home skin needling kits – there are three to choose from. Premature ageing is caused by many factors beyond your control – ultra violet radiation, sun, smoke, pollution, wind, heat, cold, and air-conditioning. However, it can be minimised and reversed by using products from three Environ ranges. The AVST range is a step-up programme offering different Vitamin A and C strengths as well as antioxidants to repair skin damage. While the premium Youth EssentiA Range contains powerful antioxidants, peptides and Vitamins A, C, and E to slow down the signs of ageing. Environ also offers the Intensive range which has been formulated to complement the AVST and Youth EssentiA ranges. It includes Colostrum Gel with its Epidermal Growth Factor (EGF), the new Avance DFP 312 Peptide Cream and two strengths of retinol serum – Retinol 1 and Retinol 2. For enhanced effect, these products can be used in conjunction with Environ’s home skin needling which improves the penetration of the active ingredients in the products. Red skin is a common condition and Environ’s skincare products can address this concern by slowly increasing your skin’s exposure to Vitamin A and antioxidants to improve its natural resilience against the sensitivity issues that cause redness. The AVST range of products is Environ's latest, most innovative skin care line that provides a complete skin care programme which delivers a balance of Vitamin A and a variety of antioxidants, flavonoids and peptides. The premium Youth EssentiA Range of products will help speed up restoration of the skin cells resulting in the appearance of a more youthful and healthy complexion. It enriches the skin with a combination of peptides, powerful antioxidants and vitamins. 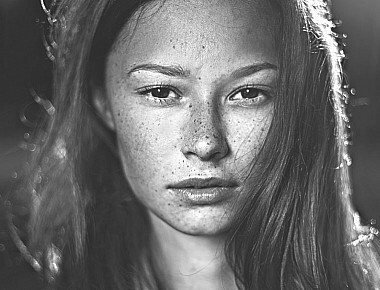 If your red skin often leads to spots, then ß-Active Sebuspot should be one of your “must have” handy products. It helps to soothe the skin, making redness less visible. C-Boost from the Evenscence range is another product which assists in diminishing the skin’s redness as it is a clarifying cream that contains Vitamin C which improves the appearance of your skin. You can also use Environ’s Colostrum Gel with its Epidermal Growth Factor (EGF) from the Intensive range which contains a high concentration of colostrum to assist in providing essential nutrition to the skin to calm and improve the appearance of red and sensitive skin. Rosacea is a chronic skin problem that is aggravated by exposure to the sun, heat, warm drinks and alcohol. Fortunately there are several products in the Environ skin care range that can assist in improving this condition. The AVST range of products delivers a balance of Vitamin A and antioxidants, flavonoids and peptides, while C-Boost from the Evenescence Range contains a high level of Vitamin C to strengthen and support your skin. Environ’s Colostrum Gel and Anti-Oxidant Gel from the Intensive range can also benefit rosacea skin. Colostrum Gel with its Epidermal Growth Factor (EGF) provides essential nutrition to the skin and strengthens its immune system while the Anti-Oxidant Gel contains high concentrations of Vitamins B, C and E and beta-carotene to help cool, calm and soothe the skin. It also has a cooling and moisturising effect for sensitive and dry skin. Another useful product is Sebuspot from the ß-Active range which soothes the skin, making redness less visible. 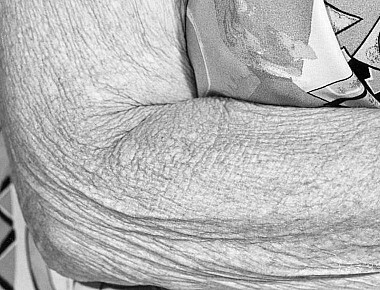 Sagging skin is caused by a number of factors such as hormones, loss of fat tissue, smoking, alcohol, poor diet, stress and lack of sleep or exercise. Environ product ranges AVST, Youth EssentiA, and Intensive, can help with all problem areas of arms, body and face. Products are best used in conjunction with Environ’s home skin needling kits which improve the penetration of the products for faster and more effective results. Scars/stretch marks occur when the skin’s collagen and elastin is damaged. To improve this condition, four Environ products can help to ensure good collagen production and the rapid healing of the skin – Body Profile (for cellulite), Vitamin A, C & E Body Oil, Vitamin A,C,E Body Cream and AVST Hydrating Lotion. To help prevent an unsightly and an irritating shaving rash Environ has developed a Shaving Oil product that provides superior comfort and protection, as well as facilitates a smooth shave for men and assists with controlling ingrown hairs. 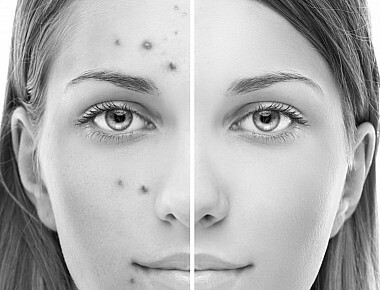 Spots, also known as pimples or zits are an unwelcome look on your skin. They are caused by overactive sebaceous glands or when dead skin is left behind, blocking a pore. Whatever the cause of your spot or spots, Environ has products – cleansers, toner, gels, and a masque – which will help return your skin to its spot-free healthy glow. 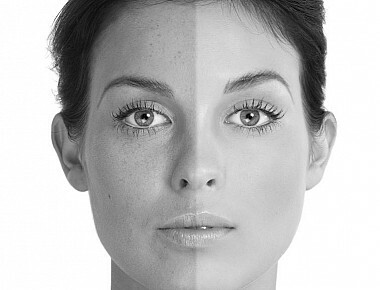 Years of sun damage can be reversed or significantly improved simply by using Environ products. There are four product ranges to choose from as well as home skin needling kits which improve product penetration. Environ’s AVST range of products contain Vitamin A and other powerful antioxidants to help restore skin cells, while the Youtho EssentiA Range is a premium range of powerful Vitamin C peptides and antioxidant products and serums to help speed up the restoration of the skin cells resulting in the appearance of a more youthful and healthy complexion. The two Vita-Peptide C-Quence Serums – Focus Hydrating Serum and Focus Frown Serum have been approved by the Swiss Vitamin Institute confirming the effectiveness and freshness of the active ingredients and the activity of the vitamins for the entire shelf life of the products. Few skincare products have this approval. The Evenescence range offers C-Boost which helps improve pigmentation, sun damage, fine lines and dilated capillaries, while Environ’s Intensive range has been formulated to complement the AVST and Youth EssentiA Ranges. For enhanced effect, all Environ products can be used in conjunction with Environ’s home skin needling kits for faster and enhanced results. The visual look of thin/fragile skin can be dramatically improved by using Environ skin care products and home skin needling kits. The Evenescence Range offers C-Boost, a powerful Vitamin C cream which can be used in conjunction with Environ’s Colostrum Gel from the Intensive Range which offers an Epidermal Growth Factor (EGF) to support the production of healthy collagen, elastin and growth factors. Uneven skin tone can manifest itself in several different ways – dark spots, uneven skin texture, enlarged pores, wrinkles and loss of firmness. All these factors can add years to your facial appearance. 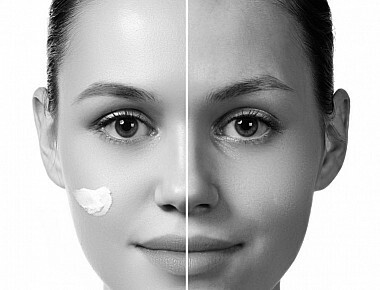 Environ’s Evenescence range rescues uneven skin tone with two powerful products – C-Boost a Vitamin C cream, and Evenescence Clarifying Lotion with ingredients to control the formation of melanin which is the key cause of uneven skin tone. For fast and effective results, combine these two products with Environ’s home skin needling kits to improve the penetration of active ingredients. 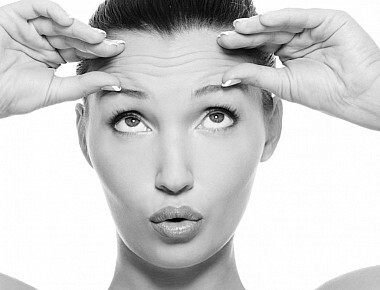 All Environ product ranges are suitable to help you visibly improve wrinkles and fine lines. Choose from the AVST step-up range with powerful Vitamin A and C ingredients or the premium Youth EssentiA Range whose vitamin quality is endorsed by the Swiss Vitamin Institute confirming ithe efficacy of ingredients which is a rarity in the beauty world. Also available to treat wrinkles and fine lines is C-Boost from the Evenescence Range. Environ’s Intensive range also helps to fight the effect of wrinkles and fine lines, including the new and highly acclaimed Avance DFP 312 Peptide Cream as well as the Revival Masque, Hydrating Oil Capsules and Retinol 1 and Retinol 2 serums offering high doses of Vitamin A. All products can be used in conjunction with home skin needling kits which improve the penetration level of Environ’s active skin care ingredients.